Larus cachinnans 2cy V453 June 11 2009, Simrishamn, Sweden. Picture: Jörgen Bernsmo. 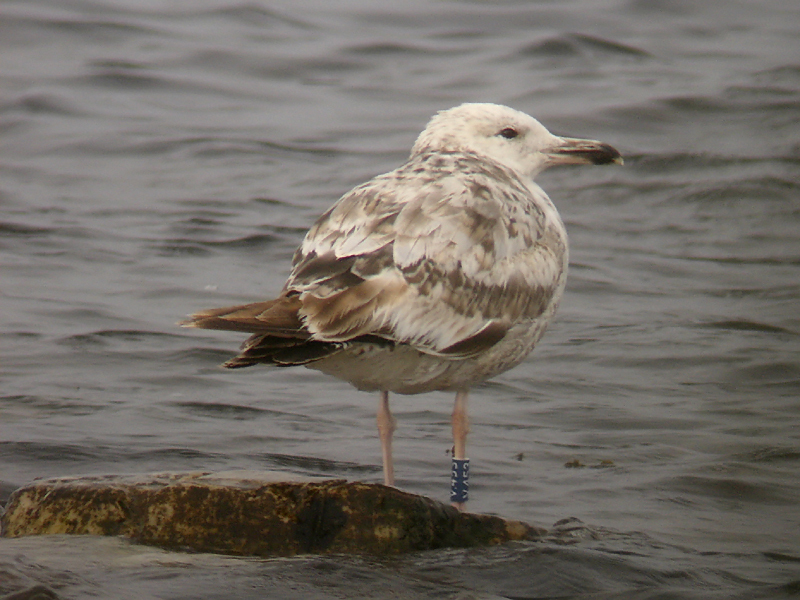 Ringed as juvenile on 16 August 2008 at Klintholm Havn, Møn, Denmark (54.57N, 012.28E) by Kjeld T Pedersen. Bird in active complete moult.